What is so amazing about Grace? : One crazy weekend! This last weekend must go down as one of the red letter days in the history of MKCC. We opened the doors of our new facility to our community and the response was overwhelming. We opened the doors at 12 noon and were inundated with visitors till we closed at 4 pm. As well as many friends and family that came with our church family we had so many guests join us from our immediate community. One lady had lived near by for 30 years and visited for the first time on Saturday than came back for the services on Sunday. It was wonderful to see nearly every inch of our facilities both old and new busting with people. 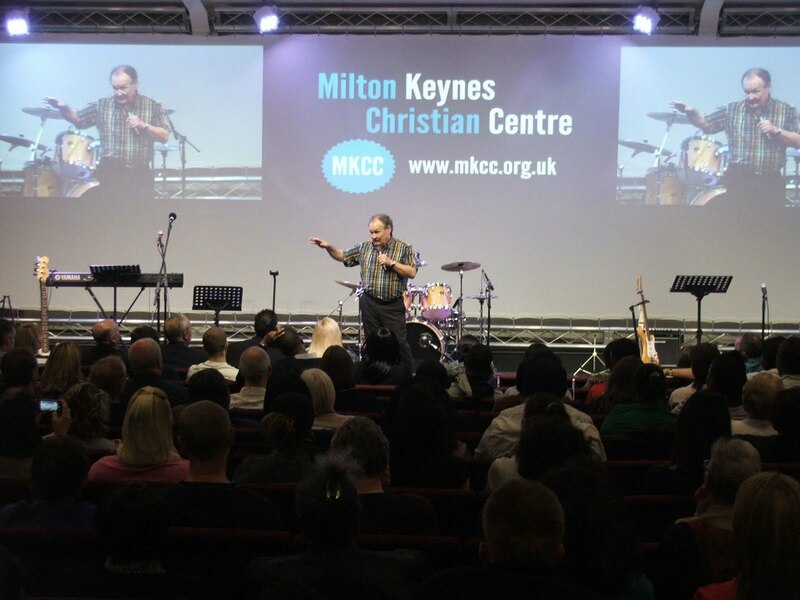 The evening brought a special concert with comedian Bobby Ball who had the whole crowd rocking with laughter, whilst leaving them in no doubt who mattered most - Jesus! Bobby was back Sunday with 100 people having to watch on monitors from the foyer because the new auditorium was full as we saw over 850 attend. With a number of people starting a brand new relationship with Jesus! It just never never gets old!! None of this could have happened without the dedication of the staff and volunteers of MKCC . They are just totally amazing. They have had a crazy busy week. Not only did they carry off an incredible weekend but they entertained 70 church leaders just a few days earlier when Perry Noble from NewSpring Church came to town. I am humbled to serve with them.